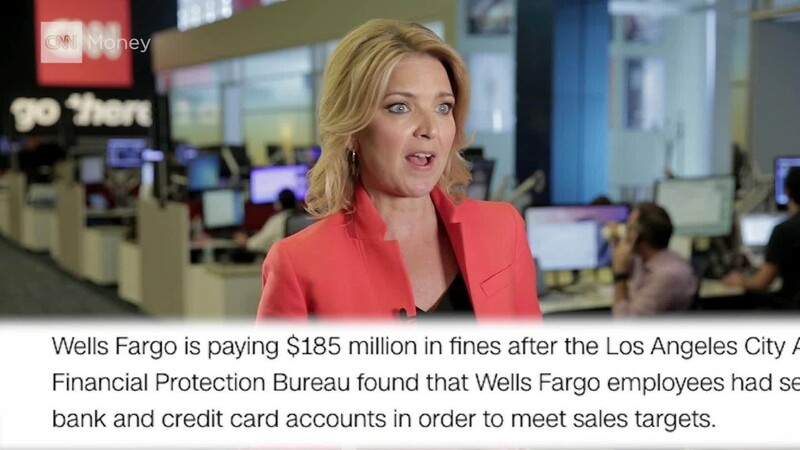 In early September, regulators hit Wells Fargo with $185 million in fines for creating millions of fake bank and credit card accounts from 2011-2015. More than 5,000 employees have been laid off, and there have been calls for Chairman and CEO John Stumpf to step down. But Wells Fargo (WFC) might not be the only bank opening unauthorized accounts. A recent report from S&P Global that analyzed the Consumer Financial Protection Bureau' consumer complaint database found unwanted credit cards are a common complaint among consumers from a variety of banks. Having accounts that you don't know about can have ripple effects on your financial health, which is why it's important to be proactive in reviewing your finances. "Untangling exactly what those events cost you could be really difficult," said Bob Sullivan, credit expert at Credit.com. Many Wells Fargo customers are wondering what the fake account scandal means for them, but other banking customers should also be paying attention. Wells Fargo said it has identified, contacted and paid back customers who had bank accounts opened without their consent. So far, the bank has refunded $2.6 million to customers for fees associated with unwanted accounts. The average refund was $25. But customers should still be diligent to verify there are no unknown accounts under their name. Wells Fargo is telling customers to review their accounts on its website. But it could be tricky to find an authorized account. According to the CFPB, some workers created fake email addresses and PIN numbers to enroll customers in unwanted services. You can also call the bank and ask to review a full list of all the accounts under your name. If any of them were opened without your consent, notify the bank. "In this world where virtually anything electronic seems at risk to hacking, the last thing you want is a bank account open in your name you aren't aware of, even if it doesn't have any money in it," said Mark Hamrick, senior economic analyst at Bankrate. You can also contact the Wells Fargo customer service department at 877-924-8697 or visit a local branch. Workers allegedly transferred money from customers' legitimate accounts to fund the phony ones, which sometimes brought overdraft fees if there wasn't enough money in the original account. "There are a lot of Americans operating on a paycheck-to-paycheck basis," noted Hamrick. "Those people on the margin, every dollar makes a difference ... if there was a charge they aren't' aware of it, it can set off dangerous overdraft charges." Wells Fargo workers submitted more than 500,000 credit card applications without customers' knowledge, according to the CFPB. And it's hard to know the impact of these unauthorized accounts on those customers' credit scores. Lenders use credit scores to assess a borrower's risk. The higher a score, the more likely consumers are to qualify for a loan and get lower interest rates. An unknown credit card can negatively impact a score -- for example if the card had an annual fee that went unpaid. Even if the account is later removed, those lower credit scores can potentially have long-term effects. "That credit card [payment] is reported as late, that hurts your report and then if you apply for a loan you may have had to pay higher interest rates," said Sullivan. Consumers should comb through their credit reports looking for any unwanted or unfamiliar accounts, recommended Jason Flemish, vice president, global customer care at Equifax, which is one of the three largest credit agencies in the U.S. If you find any fraudulent activity, document it -- note the account number, date and any other pertinent information and alert the credit bureau. If it's not already, now's the time to make it a habit to check your credit reports. Federal law mandates one free report a year for consumers from the three main credit reporting companies: TransUnion, Experian and Equifax at www.annualcreditreport.com. Have you found unauthorized bank or credit card accounts opened in your name by your bank? We want to hear from you: e-mail us your story here.